An employee in this class is responsible for performing work of a professional nature in the maintenance of the Real Property Tax Map, the design and update of the Real Property Tax Service Agency’s database and the implementation of special Geoscience projects. Incumbents are expected to use independent judgment and initiative in completing duties. Supervision is exercised over technical and clerical support staff and contracted agencies. Work is reviewed through periodic conferences and written reports. Does related work as required. Assists the Director of Real Property Tax Service Agency in the implementation of programs that establish interactive programs on the Intranet and Internet. Supervises and trains technical and clerical staff in the integration of new programs and their effective use and in the maintenance of all records. Acts as liaison between the agency and other entities of government. Thorough knowledge of geographic and geoscience information principles and practices; good knowledge of drafting, mapping and geo-technologies’ products; good knowledge of database software; good knowledge of data management, planning practices and computer technology; ability to supervise personnel in a manner conducive to full performance and high moral; physical condition commensurate with the demands of the position. Graduation from a New York State or Regionally accredited college or university with a Bachelor’s Degree in Computer Technology or a related field, and six (6) years of experience in database design and/or database programming, at least one (1) year of which must have been utilizing a Geographic Information System. In addition, at least two (2) years of the above experience must be in a supervisory position. NOTE: Because of the rapid evolution in this field, three (3) years of qualifying experience must have been gained within the last six (6) years. Vacant position is in Riverhead, NY. 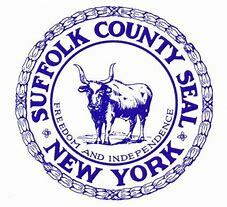 Candidate must be a resident of Suffolk County at the time of hire. Hiring is at entry level, no steps above – Grade 29 Step S the total salary is $62,666.00. Qualified Candidates send cover letter and resume to Penny Wells LaValle, Director, RPTSA: Penny.wellslavalle@suffolkcountyny.gov.